One of my weekly enjoyments is book shopping through the local thrift stores. Every now and then, I will find something good. I haven’t found much to sell on Ebay; the competition for those finds are fierce. But it can be rewarding to locate some dusty paperback you’ve always wanted to read, just never had the time, money or inclination. I really need to actually pull the books out of the pile and start reading The Harrad Experiment, The Sterile Cuckoo, or Death Turns A Smile before they disintegrate. I’ve always been fan of noir writer Jim Thompson. He came of age in the 1920’s and went through the great depression, trying to survive as a writer. Over-looked in his lifetime, Thompson’s fame would increase after he died in the early 1970’s. Which just goes to show that the best way to make it as a writer is to drop dead. He cranked out a mountain of detective and crime novels for a small paperback company in the 1950’s. Some of them, such as The Getaway, were later filmed for the big screen. Thompson’s world was the dry plains of Oklahoma, Texas, and Kansas. His characters are corrupt politicians, field tramps, hit men, and desperate people. No one ever gets out intact from a Thompson book, survival is the most they can desire. The Killer Inside Me is narrated by a small town sheriff, who just happens to be a cunning psychotic. The bank robbers of the The Getaway eventually discover there are worse fates than being captured by the law. 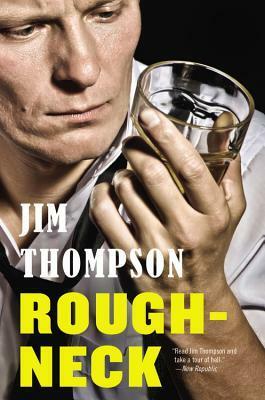 Roughneck is the second volume of an autobiography. Thompson wrote this one about his adult years. It begins with him in a broken down car trying to take his mother and sister to a relative’s house in Oklahoma, his dad’s latest oil well schemes having gone bust. The book is depressing, but shows you how someone can survive under the most desperate conditions. Thompson devotes a few chapters to working as bill collector and lets the reader in the trade’s secrets. Not the most uplifting book you can read, but a keen view into the world of the depression-era Southwest.